Life for Russia’s Jewish population is a “miracle” compared to what they experienced before the fall of Communism, Chief Rabbi of Russia Berel Lazar told a large and rapt audience at the Montreal Torah Center in Hampstead last week. 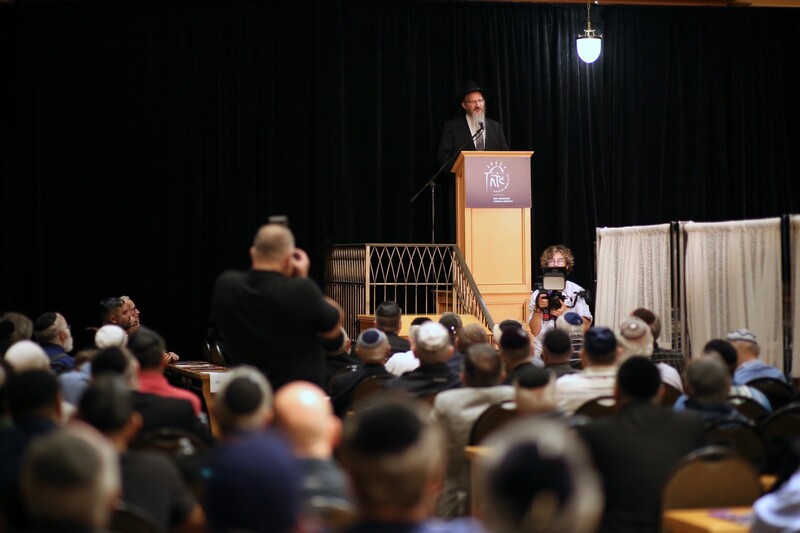 Rabbi Lazar was introduced by the MTC’s Rabbi Moishe New, and preceded at the podium by Israeli Consul-General David Levy, who paid tribute to his own country’s Russian Jewish population; and Russian Consul-General Yury Bedzhanyan, who praised the Montreal Russian Jewish community. Rabbi Lazar pointed out that during the Soviet era, Jews and other religious groups were prohibited from openly practicing their religion. The Rabbi recounted a recent meeting he had with former Soviet leader Mikhail Gorbachev. Rabbi Lazar said he first visited Russia as a young student in 1987, when the Soviet Union still existed. The Rabbi said he came to the USSR to teach and brought many books. The Rabbi also told of how briss (circumcision) ceremonies would be held by a store owner at his locale, and how there was a risk of discovery by the KGB each time. Those who wanted to use the store for the ceremony would have to be blindfolded and driven there. The Chief Rabbi says those changes are taking place under president Vladimir Putin. The Chief Rabbi, who moved to Russia in 1990, also spoke of how virulent anti-Semitism existed as the USSR fell, and that then-leader Boris Yeltsin told him it was best to speak of Jews and violence against them as little as possible. He then provided a contrast with today. The Chief Rabbi said one sign of how life for Russian Jews did change stems from an incident in 2002, when a woman, Tatyana Sapunova, saw an anti-Semitic sign and sought to remove it, and was severely injured by a bomb hidden near the sign. She was successfully treated in Israel. The Chief Rabbi said Putin’s gesture “sent a message that this country will not tolerate any kind of hatred, and today we see the results… People used to be afraid to tell their own children they were Jewish. “Today, there’s no question that it’s a miracle, what’s going on, the opportunities we have,” he explained.